A nice big smile at ya. Although crop circles are unoriginal,they appear to me also complex in design. 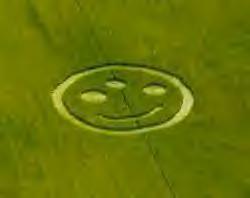 A big smiley crop circle when viewed from above would be sure to bring a smile.